Guardians of the Galaxy Vol 2 isn’t even out yet, but Funko is already expanding its GotG Vol 2 toy lines! 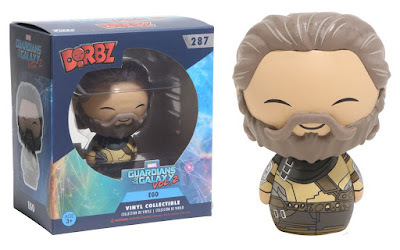 Funko has now included Kurt Russell’s Ego to both their Guardians of the Galaxy Vol 2 Dorbz and Pop! Marvel Series. The Blot’s pretty excited to find out how Ego the Living Planet will fit into the Marvel Cinematic Universe, and more importantly Star-Lord’s life. The Guardians of the Galaxy Vol. 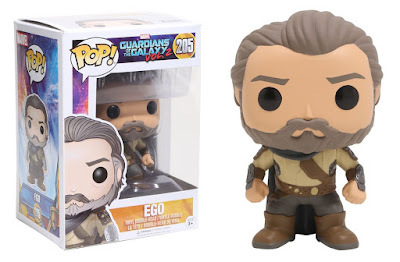 2 Ego Pop! bobble head vinyl figure stands 3.75” tall, features one point of articulation and come packaged in a full color displayable window box for $10.99. The Guardians of the Galaxy Vol. 2 Ego Dorbz vinyl figure stands 3” tall, comes in window-box packaging to fully display each character through front and back box panels, and retails for $7.99. 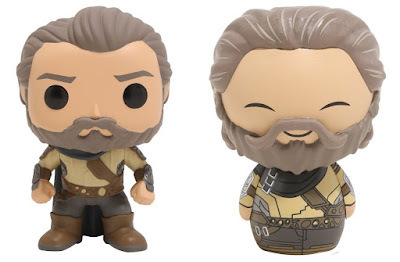 Both Ego figures can be pre-ordered now at Entertainment Earth here.